Time to start a thread for the team & sponsorship changes that are currently in the works. They just held a press conference, there'll be more news about this later in the day. "The spirit of Basque cycling can be a great reflection of the way our companies work and that is what we want to show the world," said team officials. "Anyone who wants to join our project, to contact us because all initiatives are welcome," they have concluded. I could be wrong, but it sounds like they are still after money. They have been saying for a couple of years that they wanted to go PCT. Now that has changed from speculative to definitive - Is it just a brazen attempt to flush out sponsors? Getting Guillen to say they would get a Vuelta wildcard is good marketing, but I think most folks would assume that would have been the case anyway. Sounds a bit like it, yes. I think that they're not so stupid to go out and announce a ProConti team if they don't have the funds for that (at the most basic level). More money to get the team to a higher level is then always welcome. Irish cycling has been dealt a massive blow with news that An Post is abruptly ending all of its cycling sponsorship deals. The national postage company, which is struggling financially, has confirmed on the eve of the Rás it will no longer sponsor the event. And it is also pulling out of Rás na mBan and the An Post-Chainreaction Continental-level trade team. The withdrawal was anticipated because of the company’s own difficulties. Lefèvere's team will continue for another four years, says Het Laatste Nieuws. Specialized has signed on for that period, as have Quick Step and Lidl. They may get another title sponsor yet, or Bakala may foot the rest of the bill. Burgos to go PCT? 1.7 million doesn't sound a lot and would they get a Vuelta invite? A possible new Italian CT team Biesse-Carrera-Gavardo or the BCG as I'm calling them. Wow, they really dug up an ancient photo there! Caja Rural, Euskadi, now Burgos - looks like the dearth in Spanish cycling is over. Basically one of the Italian 'amateur' teams getting a Conti license. Two more years (plus the option of another) for Vini Fantini. Details about Jerome Pineau's new team. It's been very quiet on the new team front. 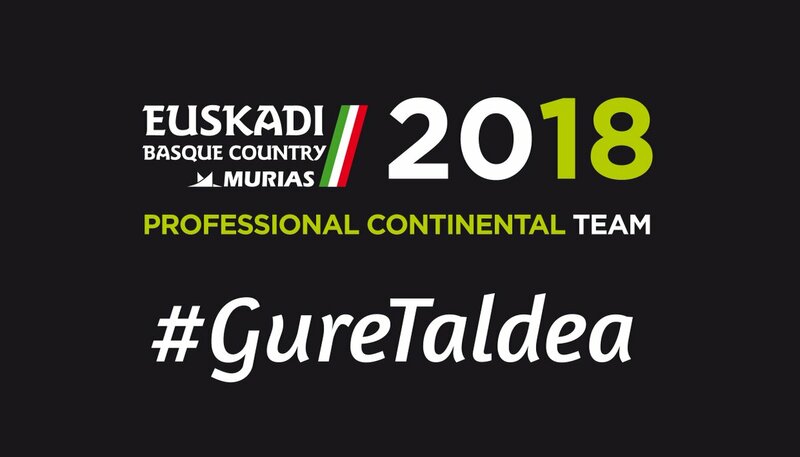 No Euskadi-Murias rumours (not that surprising I think) or anything on Contador's team. Poached the main sponsor from ... that'll make for some bad blood, I'd say. present a new main main sponsor tomorrow, a 'serious new partner'. Will increase team budget. Looking to go PCT in 2019. ..... and if they get Coquard, they'll probably poach their TdF wildcard as well. Doesn't sound like quite as big a sponsorship as I first thought, 'only' a new logo placed somewhere on the jersey and some new products for the riders to eat. Not a title sponsorship at any rate. After Androni Gioccatoli, Sidermec have now also extended their sponsorship of Savio's team. Slipstream announces Oath as exclusive digital media sponsor for 2018 Cannondale-Drapac Pro Cycling Team. Whatever "digital media sponsor" means. Oath is the newly-formed parent company of AOL, Yahoo etc. I sincerely hope that this will give the team a more stable (and honest) base, and provide opportunities for Finnish talents. Rally Cycling will jump to Pro Continental status next year after an impressive 2017 season to date. The team nabbed two WorldTour stage wins at the Amgen Tour of California in May. It followed that up with strong showings at the U.S. and Canadian national championships. Rally’s step up to cycling’s second tier is part of the team’s long-term plan to expand its race schedule and establish a European presence. I came here to post just that, and then I see you've done so already. So I moved it to the right topic instead. Axeon aiming for ProConti status as well - while remaining an U23 development team. The potential change in level will be made possible by an additional investment from title sponsor and leading class-action litigator Steve W. Berman, and his firm, Hagens Berman Sobol Shapiro LLP, one of the nation’s premier plaintiffs’ firms. "This is another natural progression and move for Hagens Berman in our support of promising young talent in their rise to compete at the highest levels of cycling and forge the skills to succeed both on and off the bike,” Berman said. The firm looks forward to continuing its focus on the U-23 level and providing young riders with opportunities and experiences that can change their lives forever. We could ask the same question of Rally, but is this just all so that they can ride California? or will we see an extended European calendar? It could leave UHC in a very weak position. Even as CT teams Rally, Axeon and Holowesko often leave the PCT outfit in the shade with their performances. So why would you go to UHC in the future if Rally (or Axeon if you're a youngster) were a viable financial and race calendar alternative. Fran Contador can't have had much luck in talking to sponsors as the PCT team fails to materialise. However it will be good to have another CT development team as we have seen many others disappear. The new team aims to offer an opportunity for professional training for young people from both the Contador Foundation and other European and world schools, continuing the work already initiated by Trek-Segafredo and which has been main responsible Ivan Basso during this last season. The sponsors, the US firm Polartec and the Italian company Kometa, who are also of the Alberto Contador Foundation, have signed a three-year commitment, which guarantees the project’s stability. Mainly Spanish riders with some Italians and Americans? Can Vaughters find 7 big ones in such a short period of time? Where will the riders end up? Bad news for the team and for cycling in general. But I have to ask: Where did this budget shortfall come from? They've let seven riders go, that has to have freed up some money. And they're adamant that their existing sponsors (Cannondale, Drapac, POC, Oath) keep their promises and don't scale down their investment. So how can they suddenly lack 7 million dollars?! The theory being bandied about elsewhere is that Doug Ellis (not "Deadly" Doug Ellis) isn't willing to cover the budgetary shortfall any more ie. in previous years they didn't have enough money either, but he stumped up the cash to keep going. And it would also explain why the team had such a large fluctuation in sponsors ... Transitions, Barracuda, Sharp, all only on the jersey (and in the name) for a year or two. It was a cheap deal for the companies, but also a short one. So based on what I've seen would the team still have a budget of $9,000,000 if a new sponsor weren't found? Could they continue as a Pro conti team or is the money from Drapac, Oath etc on the basis of the team being WT and so they could just walk if the team wasn't racing at that level.